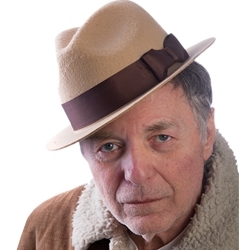 The fedora hat can be used for a variety of periods from the teens through to the present. These hats are great for "42nd Street", "Guys and Dolls", "Arsenic and Old Lace", "The Sound of Music", "Funny Girl", and more. The 1930’s gangster fedora is made of pressed felt with a contrasting ribbon. One size fits most up to a 23” head measurement.